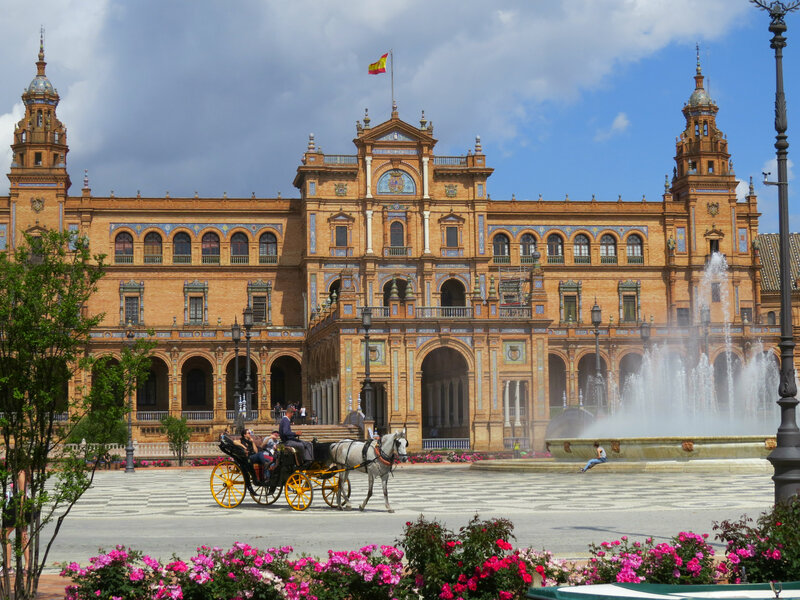 Seville (Sevilla) is the largest city and capital of Andalusia. Originally founded by the Romans in the 8th century, Seville was also under Muslim rule, before Christians gained control in the 13th century. Despite its inland location, Seville was a key port during the colonization of North and South America thanks to the Guadalquivir River and the trade monopoly it was given by the king of Spain. Cádiz eventually replaced Seville as the main trade port in Spain. In my mind, Seville is the quintessential Spanish city. A short walk among the city’s winding streets showcases some of the iconic Spanish imagery that the country is known for, such as bull fighting, street cafes and flamenco dancing. With numerous restaurants and a vibrant nightlife, Seville was also one of the more active cities that I visited. I might even feel comfortable saying it was my favorite city in Spain (although I loved them all). Thanks to Jack Morgan for the hobo design in the banner. Check out more of Jack's work at http://posters.trainwreckunion.com.